A lot of people let it go too long. Proper maintenance on the car is the life of the car. Changing your car’s air filter is more important than you think. A car filter’s purpose is to deliver 10,000 gallons of clean air to the engine while preventing the outside debris from entering. 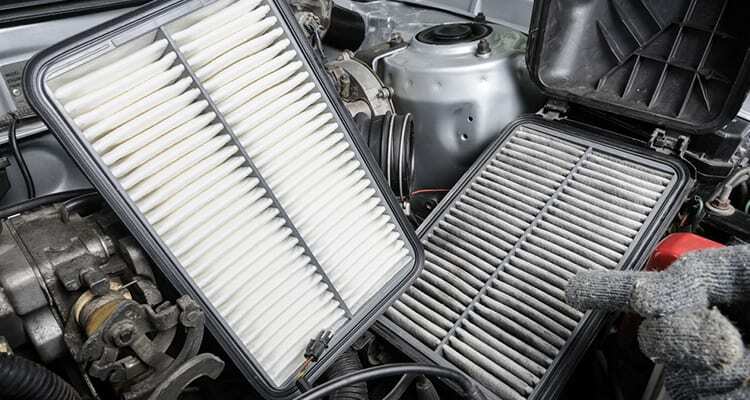 Keep in mind, there are three main filters your car needs attention to: air filter, cabin filter, and fuel filter. There are three different functions for each, but in this article here is how you can take care of your air filter to benefit you and your car. The number one job of an air filter preventing debris, dirt, and contaminants from entering your engine. Having a clogged filter for long periods of time will greatly affect your vehicle’s performance. Your engine will have to work 10x harder to get maintain clean air. Not regularly changing your air filter will also decrease your car’s overall fuel efficiency, therefore, you’ll even experience acceleration lagging and future damage to your car’s internal components. The following are significant reasons why you should replace your car air filter regularly. Save thousands of dollars on new engine by consistently replacing your air filter. Cars are huge investments and knowing how to properly maintain them will help you financially in the long run. The little things like changing out your filters can make a huge difference. Would you rather pay a small charge of replacing your air filter or buying a completely new engine? It makes sense that changing your air filter is a no-brainer process. Simply take it to your local auto shop and you’re already taken care of. It’s also really easy to track when you refer to your mileage reading. Who doesn’t like saving gas? Just by changing your air filter, you can save tons of money on gas. Studies show that you can increase your fuel mileage as much as 15%! This also helps with acceleration and the way you car drives regularly. Do the environment a favor just by changing out your air filters regularly. When an air filter is clogged, there is a rise in engine deposits which can lead to performance issues. When you increase the flow to the engine, your car won’t eat up as much fuel and will reduce in emissions. When should you replace car air filter? Typically, you want to change out your car’s air filter every 15,000-3,000 miles (refer to your manual). If you also notice a decrease in your car’s mileage, acceleration, or there’s visible debris on the filter, you might want to take it in. Worst case scenario, your service light will come or you can experience spark plug issues.